Most, if not all, of our couples are excited for their engagement session BUT Effie and Josh where over-the-top with giddy joy and I couldn't get enough of this! As I was posing them or taking detail shots, they would erupt with excitement, telling me how wonderful everything was! They constantly said how thankful they were for us and our business, and while it warmed my heart hearing such an outpouring of love, I think this is more a testament to them than it is to me! You can just tell that Effie and Josh are the kind of people that find light and joy in everyone, and I'm so happy to have been able to get to know these two! When Effie and Josh first reached out to Will and I, they shared their VERY long love story and it's too precious not to share a few highlights! They met 17 years ago (!!!) when their families happened to be camping near one another. Their families became friends and Josh and Effie suddenly got to see quiet a bit of each other over the years, sporadically at first and then growing in frequency as they realized they were best friends and had a deep love for one another. When Josh finally decided to ask Effie to start their official relationship, he gave her a letter and then patiently waited for her answer. He didn't have to wait long! 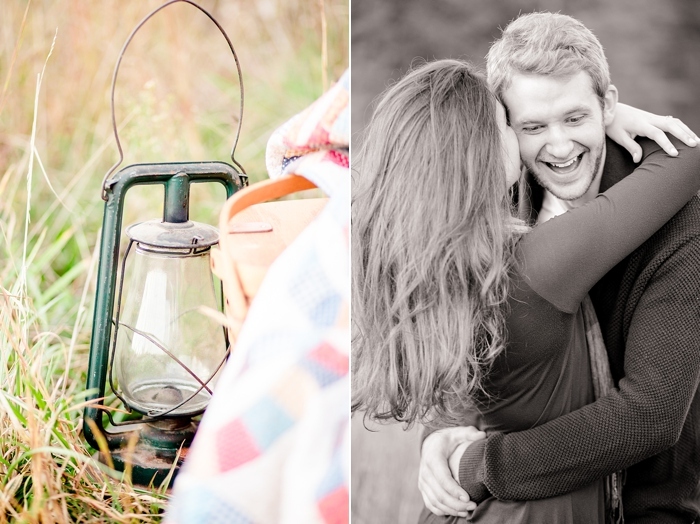 As soon as I heard their story, I knew exactly where I wanted to recommend for their engagement session! Josh and Effie mentioned that they were adventurers and were looking to get into the woods a bit, so Pandapas pond in Blacksburg, VA seemed like the PERFECT spot! It had he quite, woodland feel that mimicked the natural setting in which they met AND had a beautiful grass field!! Here are a few of our favorites! Josh and Effie, thank you for your kind words, your genuine excitement, and outpouring of love! We are blessed to be able to capture a small piece of your story. LAUGHTER is by far my favorite thing to photograph and these two were full of smiles and belly laughs!! It made my day! One of my favorites is on the left!! How adorable are these two?? When Josh and Effie saw this field they were just as excited as I was!!! Might just be a new all time favorite!! !